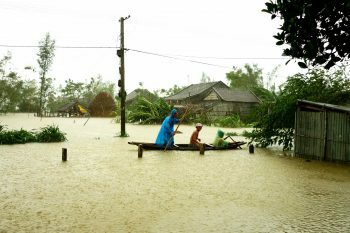 Can Tho, Vietnam, in the Mekong Delta, has its beauty for the aqua-agricultural surroundings blended with bustle and hustle city life. 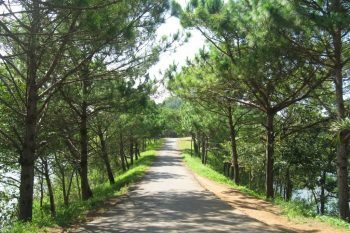 The place gains popularity among local and international tourists when coming to Vietnam. 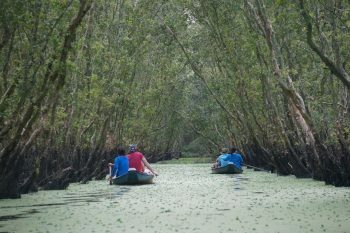 There are various means of transportation to go to Mekong Delta, thus travelers don’t have to worry how to get to Can Tho. What a bright Can Tho city by day is! With a nice and centre position in Mekong Delta, Can Tho can be approached via different ways. There are frequent flights to Can Tho from big cities in Vietnam, tour buses, tour cruise, etc. Tourists can involve in an organized tour so that they don’t need to know much about how to get to Can Tho from Ho Chi Minh City by bus, by motorbikes, by cruise or by plane, as the tour organizer makes it all. It depends on how much you are able to spend on your trip that you choose suitable ways to get there. 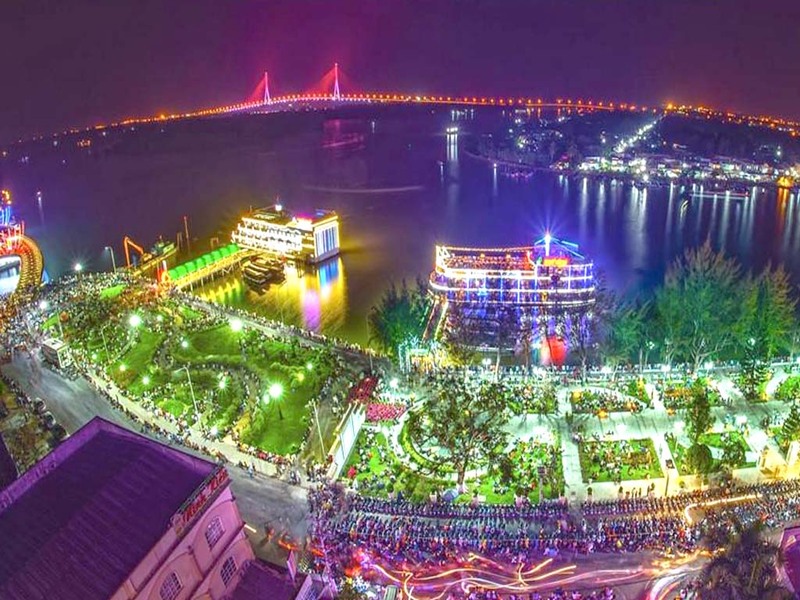 Coming to Can Tho, it is always on top of the recommendation list that Cai Rang floating market reflects most of the interesting life in Mekong Delta. Sitting on an engined boat touring around the market is so much attractive that we could never neglect. Can Tho floating market price is quite affordable when you are travel in a group. It takes about 30 minutes from the Ninh Kieu pier to get to the Cai Rang floating market. There are plenty of tropical fruits, daily food displayed on the boats, where you can simply pass by, purchase, and taste it on the way to other boats. Usually tours to Cai Rang floating market start early in the morning, around 5 AM or 5.30 AM as the market is active the most from the early morning to 9 AM. 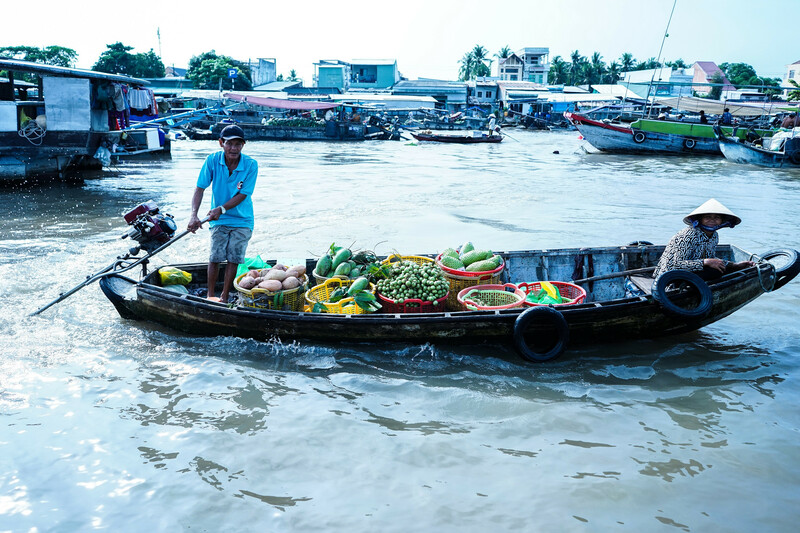 The Can Tho floating market tour price ranges from 300,000 VND to 700,000 VND for 1 boat to travel around the market. 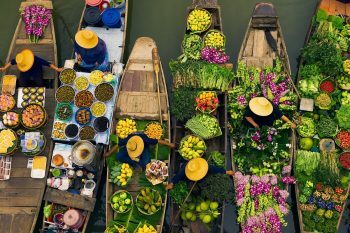 A traveler taste and buy fruit at Cai Rang floating market in just a minute! Traveling to Can Tho, you should spend at least 1 night there to enjoy the epicenter of the Mekong Delta. So, what to see in Can Tho by night? Ninh Kieu Pier is must-visit. Ninh Kieu pier lies between the turning point of Hau (Hậu) River & Can Tho (Cần Thơ) River. 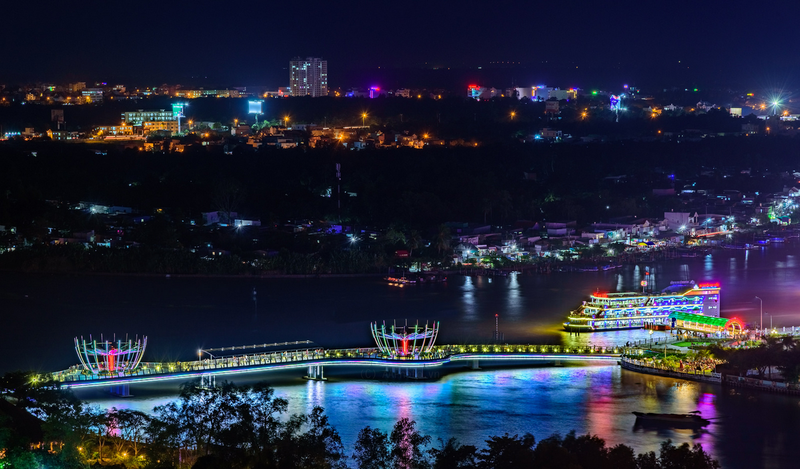 Night life in Can Tho centralizes at Ninh Kieu pier with cuisine, shopping and cultural activities. Another place you should not miss when staying overnight in Can Tho is the Can Tho walking street, or it’s also called “the Love bridge”. Walking on the bridge, you can view all the Ninh Kieu pier and Can Tho bridge (a famous bridge for its height, its design). 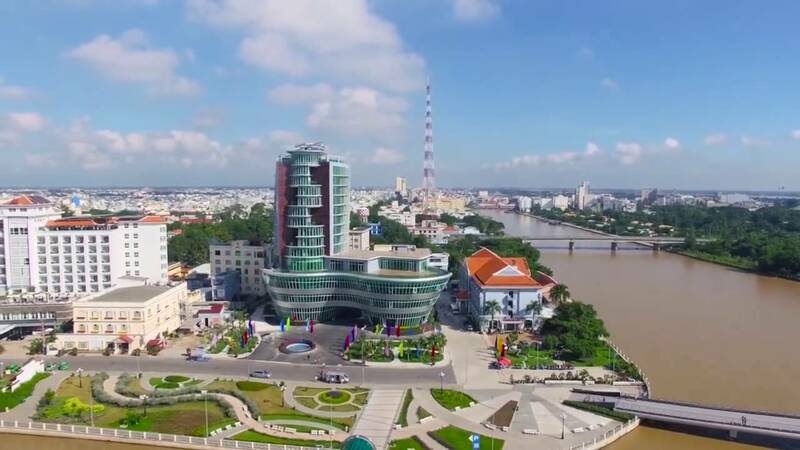 Can Tho has more to offer to tourists. There are more than 20 attractions that you could visit during your trip. Besides, this city is one of the best place that must be appeared in your travel budget. Wishing you good health and wealth to experience not just Can Tho but many other beautiful places in this world. And don’t forget to share your traveling memory with us.